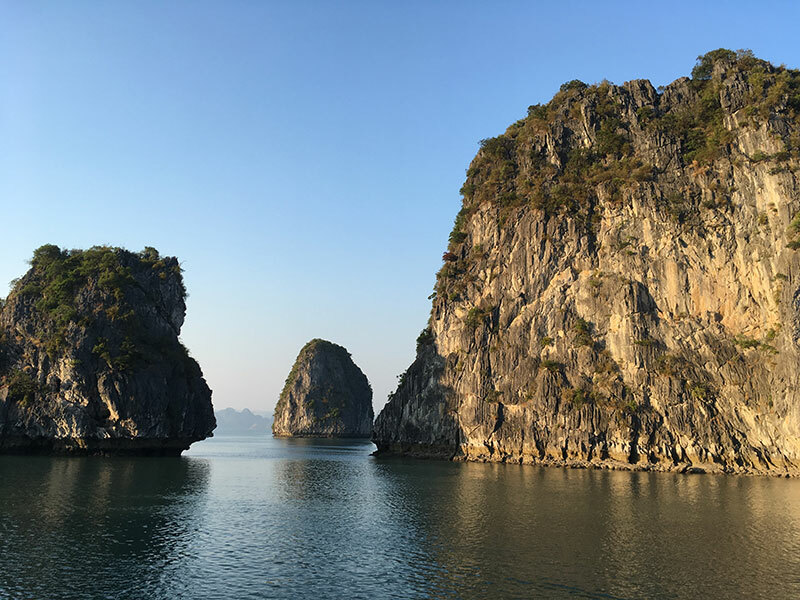 Thanks to the various tours and excursions planned in this itinerary, you will enjoy a very pleasant approach to Halong bay. A sunrise or sunset over the bay is a magical moment that you will long remember! 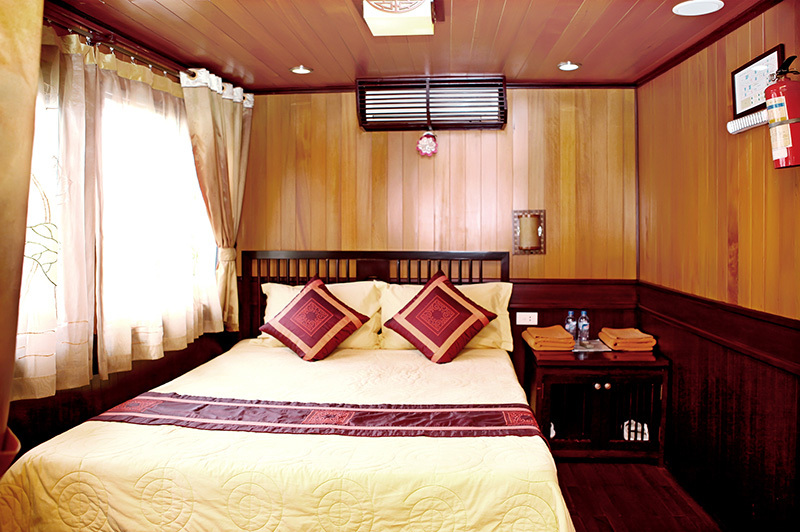 Traditional junks of 13 cabins all with air conditioning and a private bathroom. 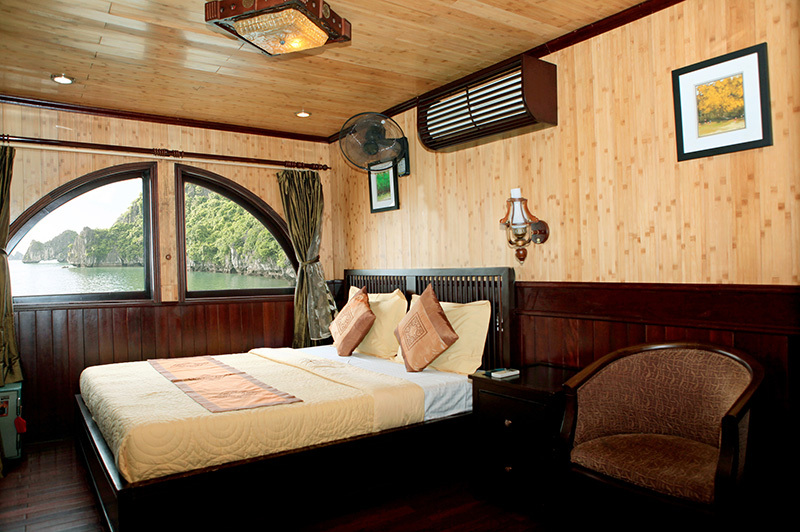 Junk boat with 21 cabins, with reversible air conditioning, private shower room with hot and cold water and toilet. 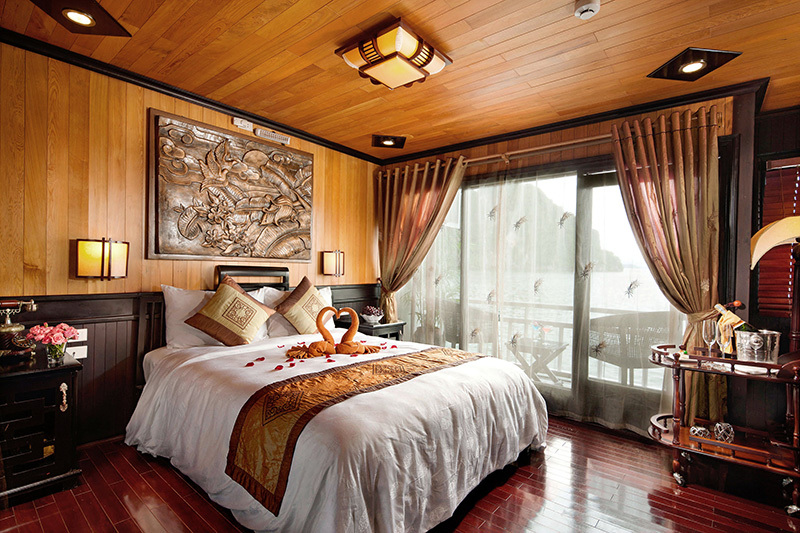 Junk boat with 30 luxury cabins and private balcony, one junior suite and one presidential suite. 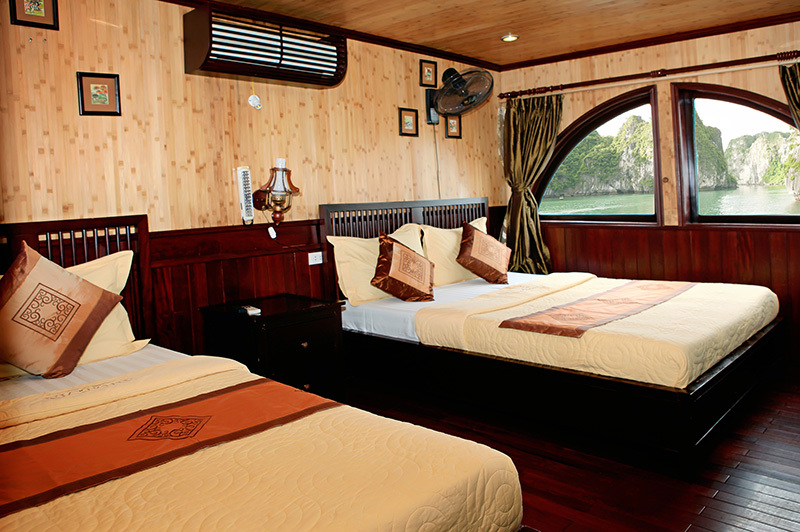 Small junks with 2 cabins for a maximum of 6 people. 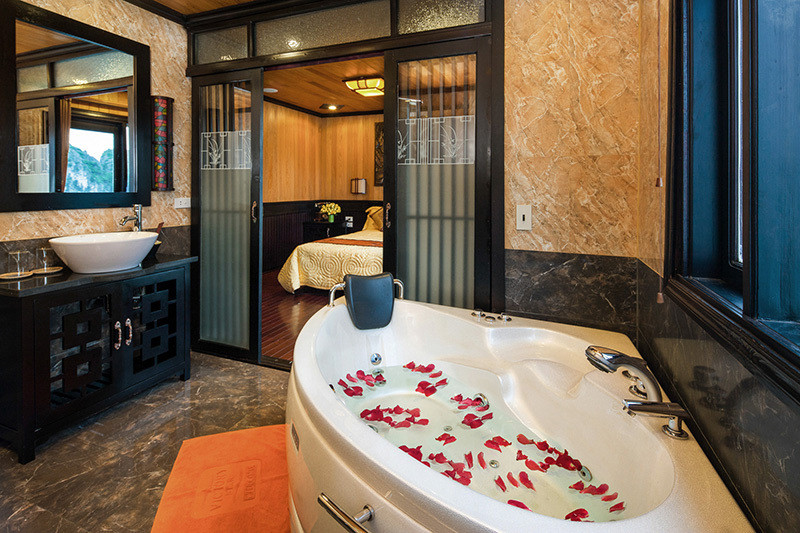 All cabins have reversible air conditioning and private bathroom. 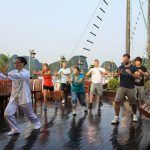 07H30-07H45 : You will be picked up at your hotel if it is located in the Hoan Kiem district, by shuttle bus or by private vehicle according to your choice. (Transportation not included in the tariff). 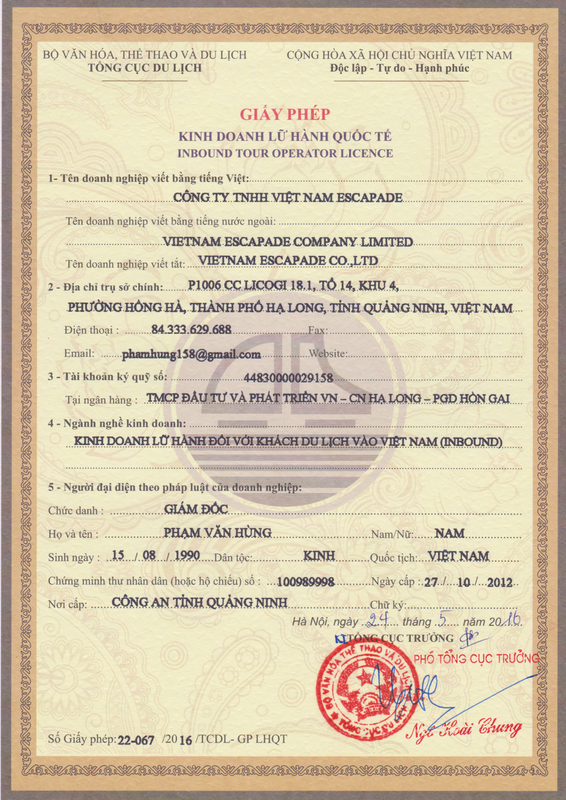 11H45 - 12H00 :​​Personalized welcome by Marc or Hung or Huyen or Nhung. Briefing on the cruise and settlement. 12H30 - 12H45 : Transfer to the junk and embarkation. You will enjoy a complimentary welcome drink. 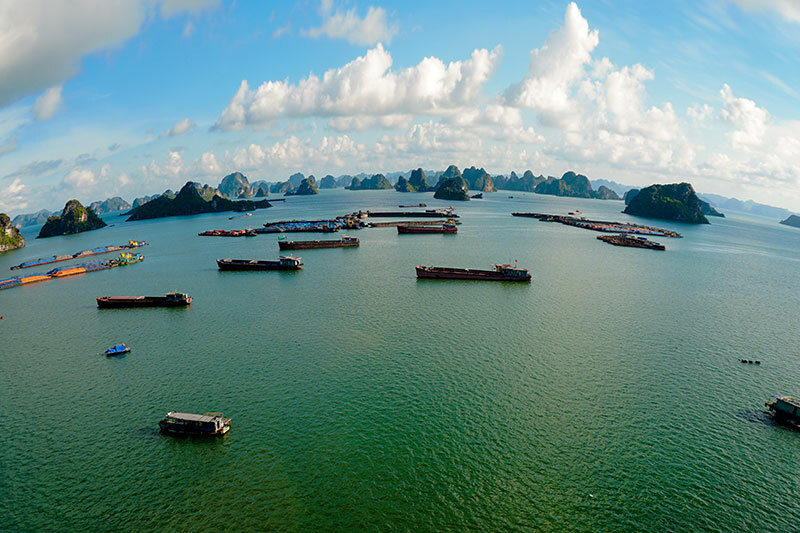 Small briefing on the safety instructions, delivery of the key to your cabin and departure for the bay of Tu Long. 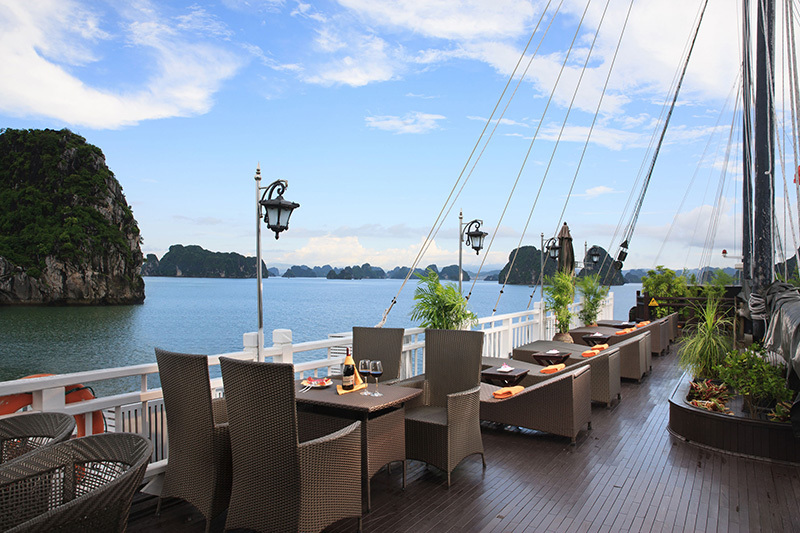 13H15-13H20 : Seafood lunch will be served on board, while sailing in the middle of this beautiful landscape. 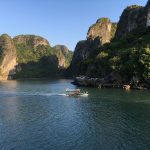 15H30-15H40 : You will depart to explore the cave of Thien Canh Son. 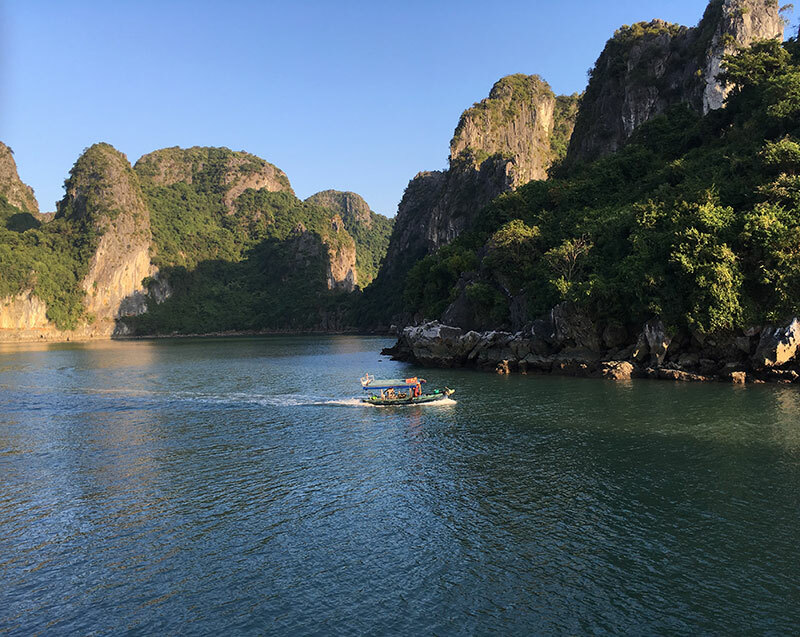 You will enjoy a relaxing moment on the island of Hon Co.
17H30-17H35 : You will return to the junk and continue the cruise to the Cong Do area where the captain will drop anchor for the night and where you can watch the sunset (if it is present). 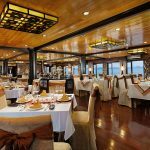 18H30-18H40 : It's time to attend and participate in the culinary demonstration course offered by our chef (only on the superior and luxury junk boat). 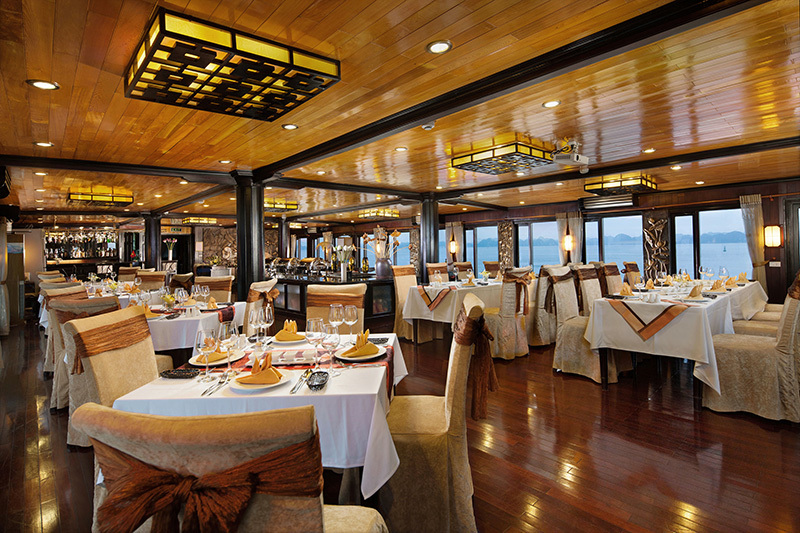 19H30-19H35 : Your dinner will be served aboard the junk. 21H00-23H00 : It's time to try your luck at squid fishing. 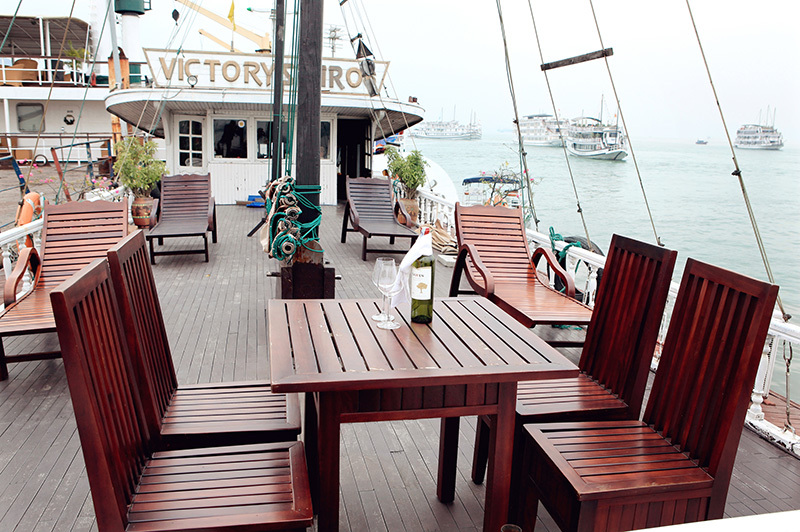 Guests can also enjoy a drink on the sun-deck, or a massage service (extra charge). 06H30 : It's time to admire the sunrise. 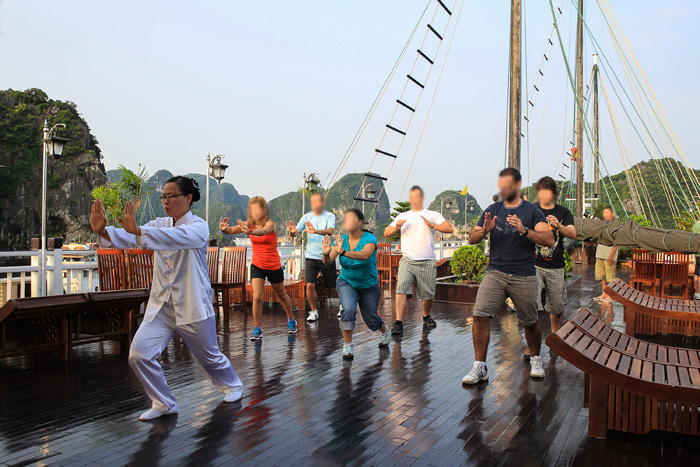 We invite you to take part in the Tai Chi course (optional on superior and luxury junk boat). 06H45 : Your breakfast will be served in the dining room. 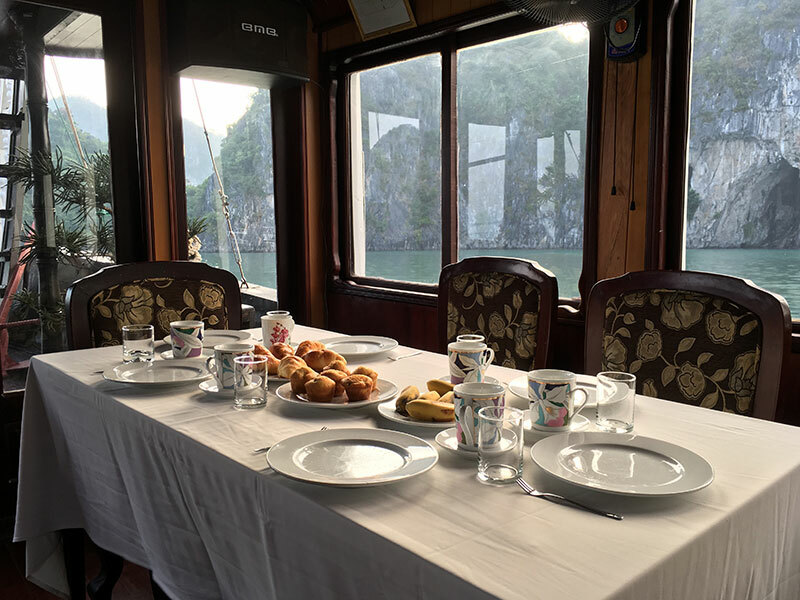 07H45 : On board the bamboo boat, you will visit the fishing village of Vung Vieng. You will be able to observe the daily life of these "people of the sea". 09H30 : It's time to free the cabins and settle your personal expenses. 09H45 : A rich buffet brunch will be at your disposal in the dining room. 11H15 : End of the cruise. Landing. 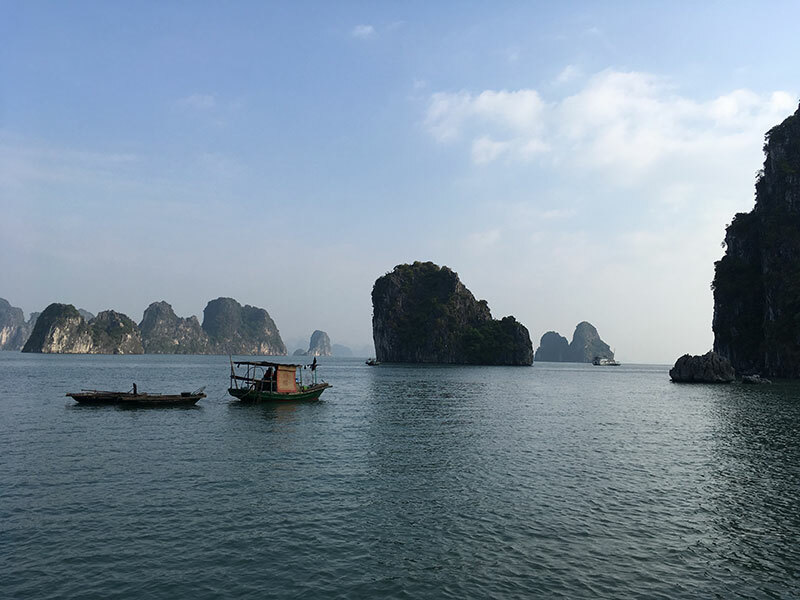 Home by Marc or Hung or Huyen or Nhung. 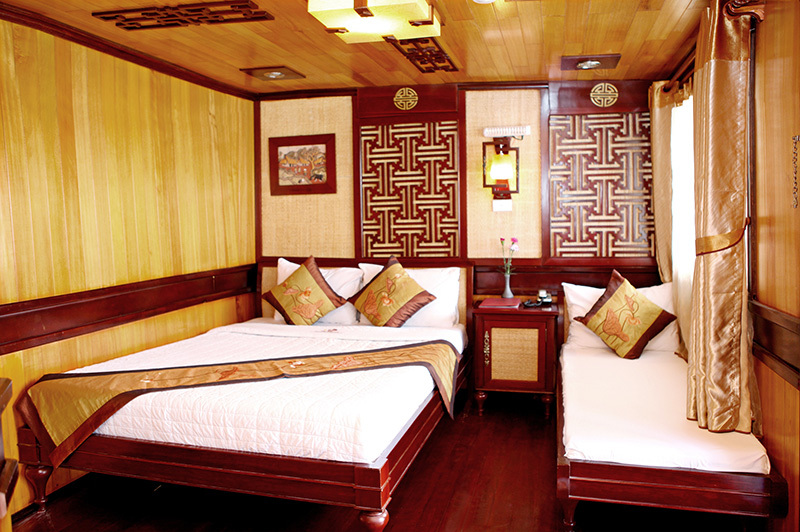 Transport back to Ha Noi or to another destination (transport not included in the tariff). 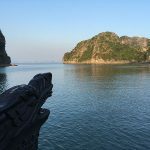 THE ITINERARY IS SUBJECT TO CHANGE, WITHOUT NOTICE, IN ACCORDANCE WITH THE WEATHER CONDITIONS, THE TIDAL COFFICIENT AND THE DECISIONS OF THE MARTIAL AUTHORITIES. 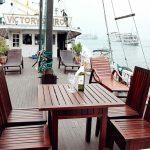 All our itineraries are now on the bay of Tu Long. 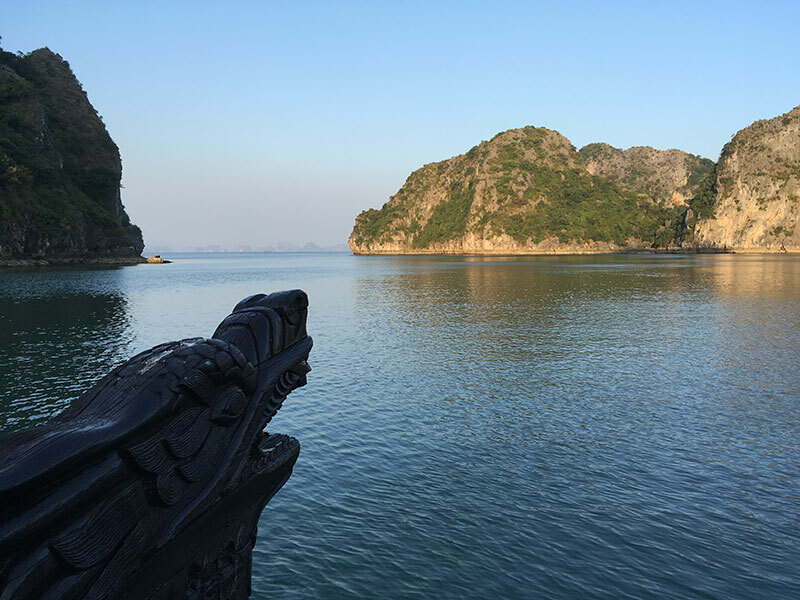 This part of Ha Long Bay is just as nice and pleasant, but much less crowded. 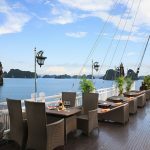 Vietnam Escapade is a Vietnamese local travel agency based in Vietnam specialised in Halong Bay. 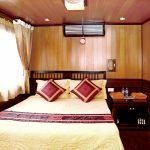 For groups or individuals stay. Dist. 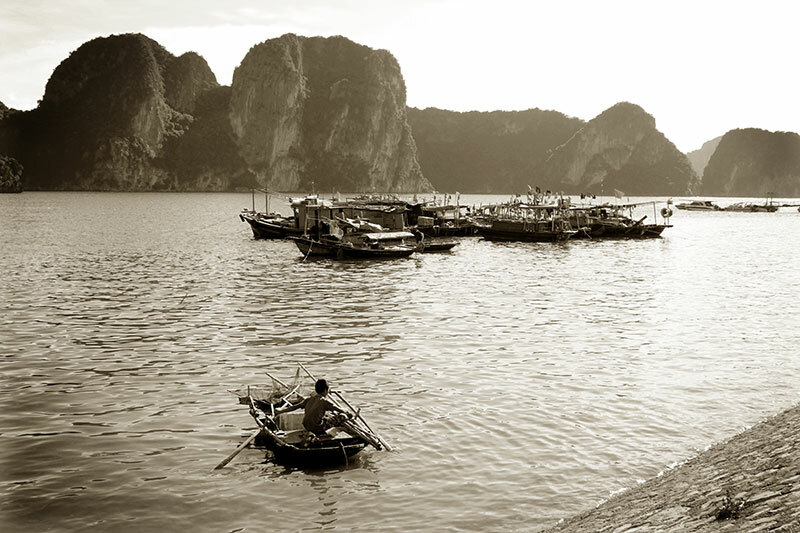 Bach Dang, Ha Long, Vietnam. 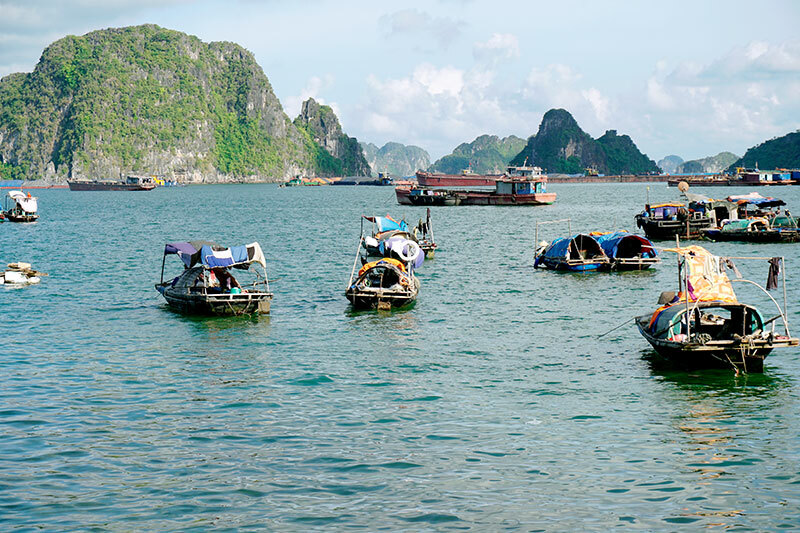 Vietnam Escapade offers you various junk cruises on the outsanding Halong Bay.